Everette E. Dennis discusses the heart of the university's mission in the Middle East. I’m Richard Heffner, your host on The Open Mind … and it was twenty years ago that today’s guest and I recorded our first program together. 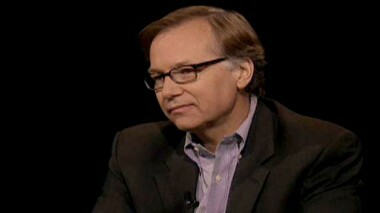 Everette Dennis was then the Executive Director of the Freedom Forum Media Study Center at Columbia University. 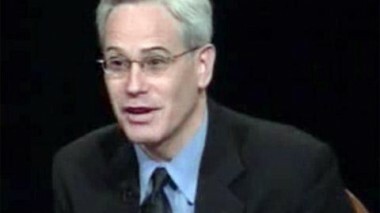 An erstwhile newspaper reporter with a doctorate in mass communication, constitutional law and history from the University of Minnesota, he has also been Dean of the School of Journalism and Communication at the University of Oregon, Director of Graduate Studies in Journalism and Mass Communication back at the University of Minnesota, and, most recently, Chairperson of Communication and Media Management at Fordham University. “Learning and the advancement of knowledge are at the heart of our mission,” he writes, “but so too is promoting the value of freedom of expression in our objectives and operational programs. “We take that charge seriously,” my guest writes, “and use it as we educate the next generation of global, media and entertainment professionals—students and faculty work with a guarantee of academic freedom; students write, film and publish freely, and classrooms are alive with debate. And my guest concludes “We’re optimistic about that process and pleased to be a part of it.” Ev, that’s a very nice statement and I wonder, going back to my first question as I was going to put it, how goes it? DENNIS: It goes very well. First Qatar is an amazing little country that is transforming itself from a traditional to a modern society. And there’s a lot of conflict in that process, getting there. And our university is part of a consortium of other universities; there are six American universities sitting there with other universities from France and England, so we’re in an academic enclave in this amazing country of great change. And it’s, it’s an exciting place to be. Nothing’s ever boring there, five steps forward and two steps back. It’s an incremental process of promoting learning, of the advancement there, building a journalism and communication program in a place where it has not been common … and yet connected so much to a global economy and the desire of that country to be a player in the media world. HEFFNER: Why is Northwestern there? DENNIS: Well, first because we were invited. DENNIS: Northwestern was invited about 2007/2008 at a time when the University was increasing its global presence and interested in the rest of the world. There was a lot of interest in the Middle East as a part of the world that they had not attended to very much before. And the invitation came to create a journalism and media school there, and those are among the great strengths of Northwestern University … its Medill School of Journalism and its School of Communication and some liberal arts work, as well. And so they looked at it and evaluated the situation and decided to go. And so it’s been an extremely exciting venture and step-by-step creating both instructional programs, building research that makes sense, doing the kind of outreach that leads to change in the community. Now, it’s a remarkable enterprise. HEFFNER: What do you mean by “change in the community”? DENNIS: Well, change in the community is that first there have been somewhat repressive press laws. It is a country; it’s a monarchy with certain traditions. And there are a lot of, a lot of traditions that change very slowly. So, if one’s going to be part of a knowledge-based economy, which is Qatar’s great goal. One has to be a player, and to be able to do that you need some independent media; you need transparency at institutions. There are a lot of things that have not been part of the scene there. And we’re part of helping make that happen. HEFFNER: … in this instance, is not able to practice the freedom … the academic freedom that we’re accustomed to in this country. What happens then? DENNIS: Well, each case, I think, is different, and each university going to various other places in the world has to determine what the bottom line is. For Northwestern it was that the academic freedom guaranteed in the University in Evanston, Illinois, must also exist on the campus in Education City, where we are in Doha,Qatar. And that’s true. We have full academic freedom for people to teach, to explore ideas, for our students to write and work and do many, many things. There isn’t the same freedom outside of the campus enclave. The, larger community itself has some difficulties … there has not been a tradition of freedom of expression. And so one works with that, incrementally. But I think having basic academic freedom is very important. At the same time, one can’t expect a developing nation to have all the same values at the same level that they might exist in the United States or Western Europe. And you look in the United States, how I read the other day that Yale was founded in the 1700s and it took until 1930 to have academic freedom. Well, the Mideast universities elsewhere are on a different trajectory. I read only this morning in The New York Times that a person could be arrested in the beautiful city of Monte Carlo for criticizing the prince. And so, there’s imperfection everywhere and we’re trying to be a part of the change, and so far, so good. HEFFNER: … whether there is opposition to the presence of the university in Qatar? DENNIS: Not any formal opposition. I think I should mention that Northwestern’s strategic plan has to do with engaging the world, and this is a part of engaging the world. It is Northwestern’s only overseas campus. And so it’s very much a test case for the future. There has been opposition at times to policies in Qatar, or particular international incidents, one involving a poet a year ago, when a poet was arrested and charged and eventually sentenced to life in prison and then later … the sentence later reduced to fifteen years and still very much in play. From time to time, there is criticism. And you hear it and we respond. It seems that every time there’s an international incident in the region or the area, I hear about it. And we simply can’t be expected to be either the apologist for the government or the fixers for everything that goes on. We often raise our voices and we do this sometimes quietly, sometimes in more effective ways, but you know, so far it’s been a very good journey for Northwestern and I think … the main thing for us is that we live by the core values of the University itself and we promote them in that particular region. And it’s been a very healthy thing. Not just for our Journalism and Communications area and some liberal arts, but also through various other projects that Northwestern is bringing into the area … grants in the sciences, projects having to do with traffic safety and some others. So it’s a very active place. And happily, our President Morton Schapiro says now Northwestern University has three campuses … Evanston, Chicago and Doha. And we’re very proud to be part of that, to be a part of the university, it’s 12th school, but very much its overseas representative. HEFFNER: Why are there so many other American educational institutions in this one particular, tiny spot? DENNIS: Well, there is a vision of the country itself … to move from a … carbon-based economy to a knowledge-based economy. And so the leadership of the country, represented by the former Emir, who abdicated last summer, and his Consort Sheikha Moza bint Nasser, to create an educational enclave … second to none in the world. And it is an amazing place to see … massive buildings on a campus that started out as 2,500 acres and has spread out … by world-class architects … and an effort to speak to the national vision of Qatar, which has to do, as I said, with a knowledge-based economy. So Cornell went there to develop a medical school. Carnegie Mellon has business and computer science there … Georgetown is there with political science, foreign service and liberal arts, and Texas A&M in engineering and other schools. Now most recently University College, London, has come, HEC Paris and others, and the Qatar Foundation, which is the sponsor for all this activity, is creating four or five new graduate schools that will be doctoral and Ph.D. programs. So it will be an educational gathering place and a great collaboration between a foundation with, I think, a great deal of vision and universities that want to be a part of this. And so, they are there and I think doing it for all the right reasons I think: to develop programs in that area … I think to be part of a changing society. And I think those are the main reasons. I really believe they are primarily idealistic and have to do with the noble cause of education rather than, say, money or soft power or other strategic issues. And, of course, Qatar is a great ally of the United States. HEFFNER: … universal university interest in extending itself. DENNIS: Right. Well, as you, as you recall … our colleague and friend, Fred Friendly, used to say, if it’s not about the money, it’s about the money. And so I always am careful to say it’s not about the money, because these things cost money to … these institutions are extremely expensive. Not only their physical plants but also, funding faculty, research, housing … all these kinds of things. The Qatar Foundation, in the case of Education City, is paying the bill for everything. So, unlike some schools, which are actually investing in international operations, there is no direct cost to … in terms of a financial burden on the home university and relatively modest management fees. So it’s … I say it’s not about the money in that … nobody’s doing this to make a big profit. In fact the management fees are less than probably any overhead on a major Federal grant. So, it’s … I mean I think it’s a very workable operation. It’s a win-win for everybody involved. And the risk, of course, is a risk of reputation. And that, of course, is at the heart of some of the debate you referred to about international campuses themselves. DENNIS: … Yup … sure. HEFFNER: … the symbols of and the spreaders of American power. How do you respond to that, because on some level it is absolutely true. DENNIS: On some level it is, and the difference of course is that we are not an army of occupation, we were invited there … you know, to go there … all the institutions were invited there. The other part of it is that what we’re doing is not simply implanting American values, but developing a program that’s respectful of local traditions and culture. Something that’s going to work in that environment. You could not go to many of these countries and do exactly what you do in the United States. You can deliver the same program substantively, but you have to be respectful of the Islamic faith. I think some of the issues in the community … aspects of local culture. I mean many, many things are different … modesty of people … some big issues, some very small. But I think learning about a new culture … a long and old tradition that actually had… intellectual roots back in the eighth century and, and bringing that into play in the modern era is exciting and fun and I think it has value. And of course, does this benefit the United States … I suppose so. But many people once you get established there don’t think of you so much as an American institution … you have American names, much of our faculty come from the United States … some stay, some come and go … but I think people think of it very much as a part of the community. And I was in a majlis, which is a gathering place of a prominent member of the Qatari community, just a couple of weeks ago, and he asked me some questions about local politics, and I said, well I beg to differ on that … or I really don’t want to deal so much in your local domestic policy … I said, “After all, we’re a guest in your house.” And he said, “No, you’re a partner.” And I thought that was a great thing that they see us as an … institution and an instrument by which their own people can be educated. In a very interesting way, in that 40 percent of our students are Qatari students from the immediate community. The rest … we have 50 passports or so and they come from the rest of the world. When you talk to some of the leadership … it’s very important for us that we get the best students in the world to come here. We want our students to be tested against that kind of standard and we try to maintain standards as close as we can to the main campus in Evanston and we’re, and we’re doing well in that regard … getting students of quality on every measure you would imagine and putting them to the same tests they would be put to in the US. HEFFNER: Ev, what are the difficulties? DENNIS: … very hot there. I think when you’re dealing with something as volatile and changing as disruptive media technologies in a country that’s wanting to be a media player … there is a tug-of-war there … at times when, we don’t get access … our students want access to certain government agencies … they want things to be more transparent. There can be dust-ups with security and police … nothing of great consequence, but it does happen. You have to work that through. HEFFNER: Are you talking about Washington, DC? DENNIS: Sounds like it, doesn’t it? DENNIS: But the government has not closed yet in Qatar … it’s open for business. So, that’s the one difference … but I think that many of the criticisms of international campuses are true in many places in the world including some parts of the United States if you don’t agree with the policies of every one of the 50 states and things that happen there. But, you know, I wouldn’t say you shouldn’t send your children to Texas because some of the policies there are also tough. So, these are things that are a part of change and kind of understanding and adapting. DENNIS: Well, we have relatively few now, we’re getting more next fall. But they’re coming in greater numbers and they’re very interested. Some of them come because they have Middle Eastern heritage and they want to re-touch that heritage and understand it and take advantage of our Middle Eastern studies courses and our Middle Eastern media courses. But they’re doing extremely well and, and they come with a very different context and one of the great debates between our students is that some of the Qatari and the Middle Eastern students will somehow believe that there is an absolute freedom of expression in the United States and you can do anything you want. And the American students will tend to say, “Well, not quite. You know some things are the same everywhere in the world.” And I think that’s a … the students are doing well. They’re getting out into the community, they’re learning the Arabic language in a number of cases where that’s something they want to do. And they’re producing wonderful documentaries, they’ve written plays, they produce articles, they have a web-based daily newspaper, The Daily Q, and it’s really quite exciting and a wonderful link back to our home campus as well, where students and faculty are coming in greater numbers to join us. HEFFNER: … in that area. How does that impact, play a part in what you’re doing. DENNIS: Well, it does. And, and you can’t not deal with Israel, much of the Middle East pretends that Israel doesn’t exist … that’s really not true in our classrooms in Qatar. Again, we have conversations all the time with the students here about a two state solution and that sort of thing. That would not have been very common in that country in the past. Qatar, unlike some of the other countries, has had some tentative relations with Israel. There have been trade delegations in the past … Israeli scholars and business leaders and others, come to Qatar for international conferences. They’ve been hired by the government for some projects, I understand. So there’s some movement back and forth. But it’s somewhat tentative, but it’s not the closed door that exists elsewhere, and typically having an Israeli passport is not a problem there. But, of course, there are not diplomatic relations formally. One would hope that would happen at some point. But there are Jewish faculty … not from Israel at the moment … but … and students and others and so … I think we’re very open on these issues. HEFFNER: How comfortable are the Jewish faculty and students? DENNIS: Well, I think quite. A number have come and gone at different times and have not found that to be much of an issue. People are quite willing to talk about these matters. We had a young Israeli professor who’s just been hired at our Evanston campus come and visit a couple of weeks ago … and he was around for a while, and I think we’ll see more of that. So … that’s also I think a very healthy development. HEFFNER: … but I have the feeling that we’re expanding, expanding, expanding. DENNIS: Well, I think we are. We’re, not the only country that’s developing campuses … some European universities are doing this in the Middle East and in China … India and elsewhere. I think there’s going to be more and more of that … I think one of the great assets of the United States is its system of higher education. One of the things we have both to bring international students and to export abroad … and I think that’s one of our great assets and we ought to develop that more. But as you know, schools like NYU and Yale and many others have various enterprises out in the world and they’re not doing this because they have to … these are universities of great substance and, and stature and resources … they’re doing it for reasons other than the mighty buck. HEFFNER: Is that your vision, too? DENNIS: It is. I think at least everybody is going to subscribe to some kind of global understanding. And for our students, we want them to really plug into a global society … to understand the great issues. What works in one culture, does not work in another. And we … a year and a half ago, sponsored a Good Offices Conferences with the Libyan government … the interim government of Libya … to help the Libyans to develop a Magna Carta for media … and whether it will be implemented or not, who knows. But that was a chance to really reach out and look at something that may be 20 years down the road, and part of that was because the Libyans recognized that to be a player in the world today, you’ve got to have some kind of open independent media system and some transparency. And they’re not there, but I, I think these kinds of things are helpful and it’s one of the contributions we can make to world understanding and make sure that our students can work almost anywhere in the world. They understand that it’s a fluid place and that borders are now porous and moving, and living in different places is going to be part of the future. And that speaks to a global university whether it’s in a physical place or it exists digitally somewhere in cyberspace. HEFFNER: … or however tenuous between what it is you’re doing and what it is the others are doing. And our government policy. DENNIS: I think … government policy plays very, very little role. We have, really, little or no connection with the government directly. We see the American Ambassador once in a while at social events … that’s about it. I don’t think there’s official policy anywhere that even encourages this or makes it particularly attractive for a university. I think it’s really being done by other governments, by foundations. Now it plays into US government policy in that it tends to happen in places where there are at least diplomatic relations with the government and some sense of that government wanting to have American institutions there … so I suppose in that sense it’s contiguous. But not always, and people will say to me … how can you be in a country where they’re at odds with the US government policy on this or that. And, you know, I say to them … “Well, it’s an independent sovereign state … a little one … but it has its own mind about what it wants to do in the world … and it does seem to have very good diplomatic relations with the United States and two large military bases there. So, it doesn’t seem to be a problem for our government and yet, we hear and our students certainly are not necessarily out beating the drum for American foreign policy and don’t always approve of it. There’s, a lot of conflict and discussion about these issues. HEFFNER: Certainly those who are not favorably disposed toward us … see this as part of the American imperium. DENNIS: Oh, they do, indeed … yes … and the university … whether it’s in Qatar or in UAE or China, there are certainly forces in all of these countries that oppose these institutions being there at all and are highly critical. So that’s part of what you also play with. There’s criticism coming from the West about whether we ought to be there or not, there’s criticism internally about whether we ought to be there. It turns out that at the moment in Qatar the critics are there, but they’re relatively … this is about a small faction compared to the belief that institutions—not just ours, but the others there from the US and from other countries—are playing a role that’s going to help develop that economy. And so they see it as having a very great self-interest … whether it’s in hospitals or sport and other kinds of things. And sport has played a great role, with Qatar getting the World Cup in 2022 … that’s a great driver … not only for business development and for higher education, but also for freedom of expression and media. HEFFNER: Ev Dennis … you’re report if quite fascinating … I certainly wish you luck and I’ll be interested to know a year from now whether you feel progress has been made as you predict in “The Way Forward,” your report. Thank you for joining me today. DENNIS: Thank you very much, it’s always great to be with you. And do visit the Open Mind Website at thirteen.org/openmind to reprise this program online right now or to draw upon our Archive of 1,500 or so other Open Mind and related programs. That’s thirteen.org/openmind.